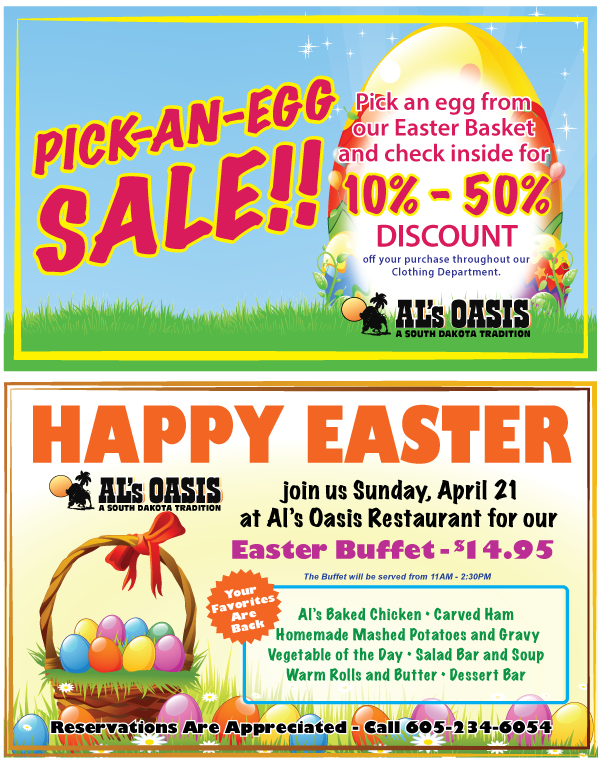 Don’t miss Al’s Easter Buffet April 21st. Al’s baked chicken, carved ham, homemade mashed potatoes and gravy, salad bar, rolls, dessert bar…all your Easter favorites will be available. Now is the perfect time to visit the Clothing Department at Al’s for our Pick-An-Egg sale. Choose an egg from the basket for 10%-50% discounts.